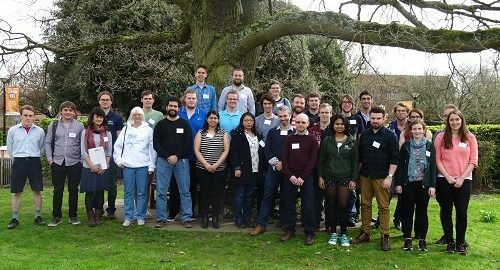 Following very successful events in 2015/6, 2016/7 and 2017/18, GRADnet is once again offering SEPnet PhD students the opportunity to organise and run two-day residential workshops or mini-conferences on a Physics topic of their choosing. Student organisers will be expected to encourage the active participation of their peers in giving talks and / or poster presentations. In addition organisers will be able to invite external speakers to attend should they wish. The two selected workshops will run in parallel on dates in April 2019 sharing, catering and residential facilities at a SEPnet Institution. Please e-mail gradnetadmin@sepnet.ac.uk if you wish to join the introductory session on the 15th May. To make a bid: Fill in the form here: Student Led Workshops Call 2018 Final with all the relevant details and return to gradnetadmin@sepnet.ac.uk by 8 June 2018. 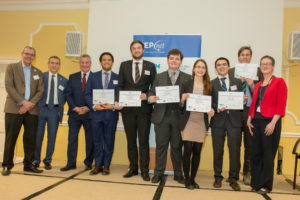 RHUL team win “Enterprising Ideas” competition 2018! 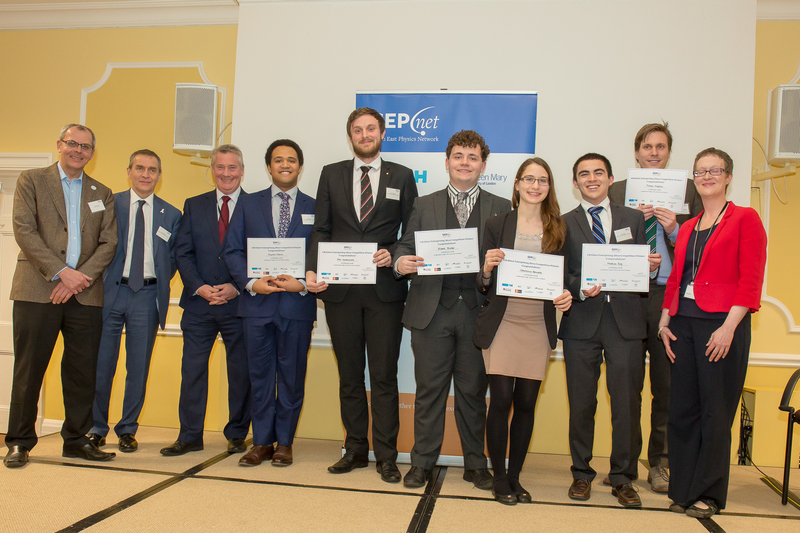 Over the past months seven SEPnet teams have been taking part in the Enterprising Ideas Competition designed to develop entrepreneurship skills. 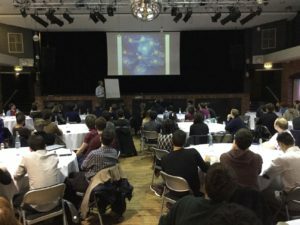 PGRs and physics undergraduates were invited in January 2017 to put forward teams to compete to be the most entrepreneurial in SEPnet. Three teams, Kent, RHUL and Southampton made it to the final on the 15 February 2018 at Cumberland Lodge in Windsor. 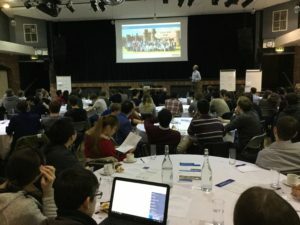 The winning team was announced at a “Physics Means Business” networking event at the GRADnet Winter School. Congratulations to the RHUL team who won £100 each! L-R: Phil Edwards, Weald Technology, Simon Bland, Reigate and Banstead Borough Council, Bob Pickles, Canon (UK) Ltd, Rupert Mellor, Alex Waterworth, Albert Baker, Stephanie Bennett, Nathan Eng, Thomas Vaughan and Elaine Hickmott, Elaine Hickmott Enterprises. Business and research increasingly need graduates who bring fresh ideas, innovative thinking and who have great team-working skills. Highly developed entrepreneurial skills and an enquiring mind are key to building a knowledge-based economy and can give you the edge when applying for research or graduate jobs or studentships. This GRADnet training has given participants an opportunity to gain a fresh perspective on how skills and knowledge can be applied; to understand more about entrepreneurship and what it means to have an entrepreneurial mind-set and develop real insights into business, innovation and team working. 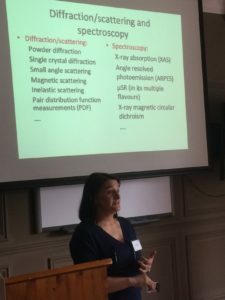 Thank you to Elaine Hickmott, Development Director, EH Enterprises, Learning and development for scientists and engineers, who ran the 2-day entrepreneurship training for UGs and PGRs in June 2017 and the competition, and Cristobel Soares-Smith, Graduate Network Administrator, for coordinating and organising both events. See here for Elaine Hickmott’s Blog. GRADnet Moving Forward for 2nd Years event is a success! 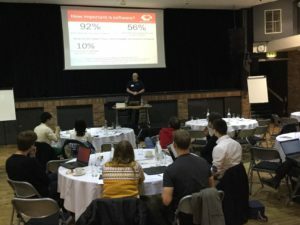 GRADnet held their first “Moving forward for second years” event on Wednesday 18 October in London which was attended by over 65 postgraduate researchers. There were workshops on: Creating impact, How to write a successful fellowship application, Research data management, Unconscious bias and Writing better software for better research. Thank you to all our speakers, Julia Shalet, Product Doctor, Professor Peter McDonald, University of Surrey and GRADnet Director, Juan Bicarregui, Science & Technology Facilities Council, Dr Alice Motes, University of Surrey, Professor Averil MacDonald OBE, SEPnet Diversity and Impact Lead and Dr Mike Jackson, Edinburgh Parallel Computing Centre. SEPnet hopes to run a similar event in 2018. GRADnet holds another successful Induction Day for 120 PGRs! The GRADnet Induction Day was held on Wednesday, 25 October in London and attended by 120 first year postgraduate students from across SEPnet. Workshops on LaTeX, MATLAB, Python, IOP Getting your research published and Organising meetings and conferences were run in parallel during the morning and afternoon. Thank you to our speakers Dr Dave Faux, University of Surrey, Dr Tim Kinnear, University of Kent, Professor Peter McDonald, University of Surrey and GRADnet Director, Simon Harris and Tom Sharpe, Institute of Physics – Publishing and Mrs Kay, Pearson, University of Surrey. Delegates were introduced to the forthcoming GRADnet events taking place during this academic year. SEPnet hopes to run the same event for first year postgraduates in October 2018. We have developed yet another comprehensive programme for 2017/18 comprising a mix of academic physics workshops and student-led conferences; residential schools with real life industrial content, leadership and professional skills training; targeted professional skills modules and more peer-learning opportunities. For some of these events we will return to the Old Thorns Manor Hotel which offers impressive leisure facilities in the middle of our region. 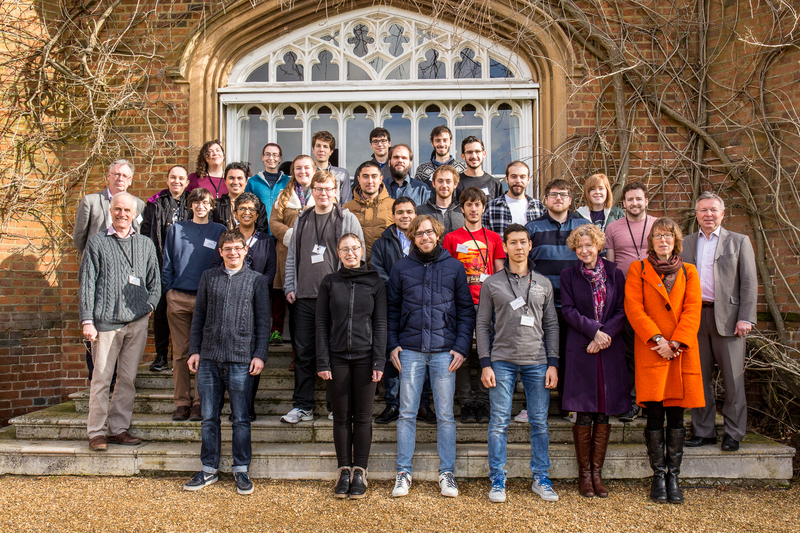 The Winter School in 2018 at Cumberland Lodge (14-16 February) focuses entirely on the 2003 NASA Columbia disaster: a popular case-study element of last year’s school. It takes students through exercises in leadership and team-working, skills rated highly by employers. 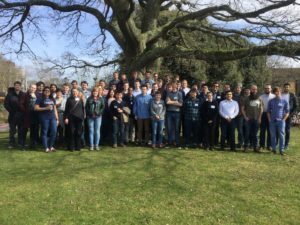 The 2018 Summer School at Herstmonceux Castle in East Sussex (2-5 July) explores suggestions to “What can I do with my PhD?”– this is a mix of employer-led workshops and consultancy challenges. 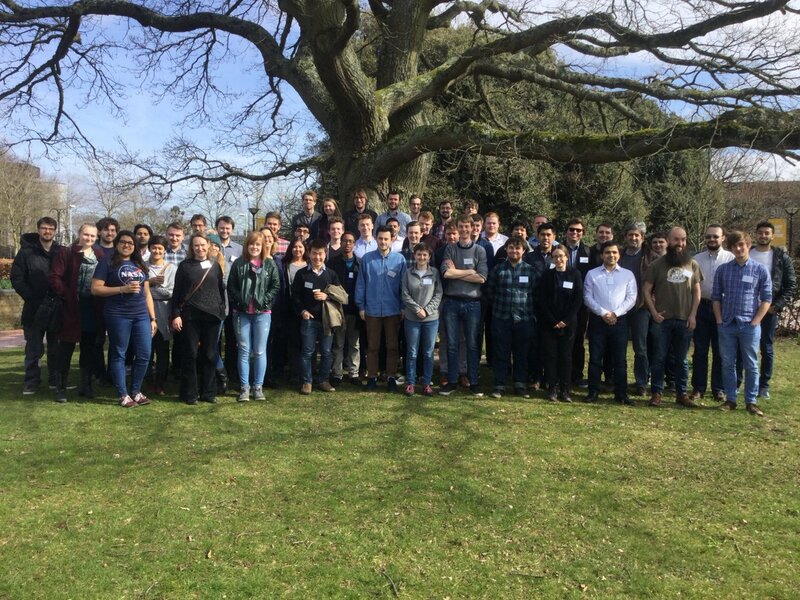 There will be a student-led conference covering Advances in High Energy Physics and Cosmology and From Micrometres to Megaparsecs. There will be cross-over lectures which are relevant to students of both particle physics and astronomy at the University of Southampton on 21-23 March 2018 and a one-day workshop on Science Communications Skills on 24th April 2018. For more information on these courses and to register, logon to the GRADnet VRE.